Wong Tung Ming, Hakka, was born in 1955 and a native of Fui Chiu Guanyinge (Now called Huisheng Lulan). His grandfather moved to Fui Chiu city in his youth. In late 1979 towards the end of the Cultural Revolution he emigrated illegally to Hong Kong and worked in the interior decoration / renovation industry. In 1972 during the Cultural Revolution, Wong Tung Ming completed his secondary studies and was assigned to work at a construction company as a cement worker. When they were at school several of his close friends, all of the Wong clan, took martial arts instruction from various masters in Fui Chiu city, including masters of Faat Gar (Buddhist Fist), Pak Mei (White Eyebrow), Lung Ying (Dragon Style), etc. They all practiced gymnastics and acrobatics at school, and so their general physical conditioning was quite good and had good coordination and agility. However, even though Wong Tung Ming dabbled in the martial arts through exchanges with various masters and his own friends, he did not systematically study any martial arts at this stage. One time when he was with his friends they suggested him to take up formal discipleship with a master. One of his friends (of the Wong clan) mentioned there was a kung fu master living in a Chiuchow-speaking village near Fui Chiu Suikou Aobei Guanyinge. Wong Tung Ming was also aware of this village, which he passed through every time he went back to Goon Yam Gok. It was a single-surname village where all the villagers belonged to the Wong clan, and there was an old man who taught kung fu. As Wong Tung Ming did not speak their dialect he only knew the master as “Bing Gung”, who was around eighty years old at the time. His kung fu had been passed down within the Wong lineage. Keeping to this tradition Old Wong only taught male scions from his village. The master was a private man and did not allow his students to have any contact with his family. Wong Tung Ming only came to know his master had a son in Beijing in 1978, when “Bing Gung” said he had to go to Beijing to look after his grandson. In the end he passed away in Beijing. Back then it took two hours to get to Guanyin Pavilion from Fui Chiu by bicycle. Wong Tung Ming was enthusiastic and curious about this master, so he arranged a visit with his friends. According to Wong Tung Ming, Aobei was a big village. There was a slope as soon as one walked into the village, with the settlement laying out down below. The entire village was set on a slope with one house next to another, and in this way made up countless rows of houses. The lay of the village was rather complex, and in order to get to the house next door it was necessary to go down a sloping path. In the middle of the village there was a place for villagers to practice martial arts. There was a dragon-eye tree with a flat area beneath its umbrage. At first Old Wong refused to teach Wong Tung Ming. Later someone mentioned the name of his grandfather and the old master allowed him to join the class. 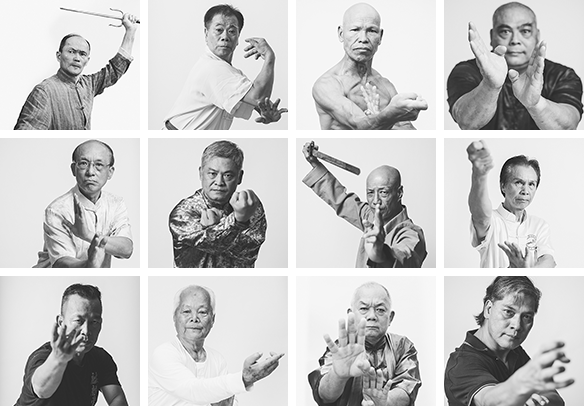 Wong Tung Ming only knew the martial arts he learnt in Aobei village from 1972 to 1979 was known as “Hung Kuen”. As he did not speak their dialect he could not investigate further. There were around four to five people in the group. They lit a single water lamp and practiced mostly in the dark. Each time they practiced for two to three hours. He would pass the night in his friend’s house and ride home the next morning. Before the Cultural Revolution Old Wong ran a school in the village, but it was closed down during the Revolution and he only taught a handful of young villagers. For this reason he never charged any fees. By the end of 1979 Wong Tung Ming knew his elder sister had established comfortably in Hong Kong and he decided to join her. He was caught twice but succeeded in the third attempt. 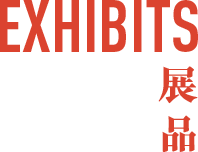 At first he worked as a renovation worker in Sham Shui Po district. He felt Hong Kong was a safe place and that kung fu was not very useful, as fighting was illegal, so he stopped practicing movement sets altogether, but kept up an irregular practice of isolated movements for self-protection. Wong Tung Ming married in 1988. One day his wife woke up with severe pain in her back. After medical check-up at the hospital, the doctor found a red mark on her back, which developed some swelling, but was unable to identify its cause. Later Wong Tung Ming guessed he might have hurt his wife by accident when he was dreaming, so from then on he further reduced his martial art practice. In 2012 Wong Tung Ming visited Sheung Wo Hang village in Sha Tau Kok with Fu Tin Song. The purpose of that trip was to visit Li Chuen Lam, who is Fu Tin Song’s si suk, but they also share a common interest in unicorn dance. Through Li Chuen Lam they met Li Tin Loy. 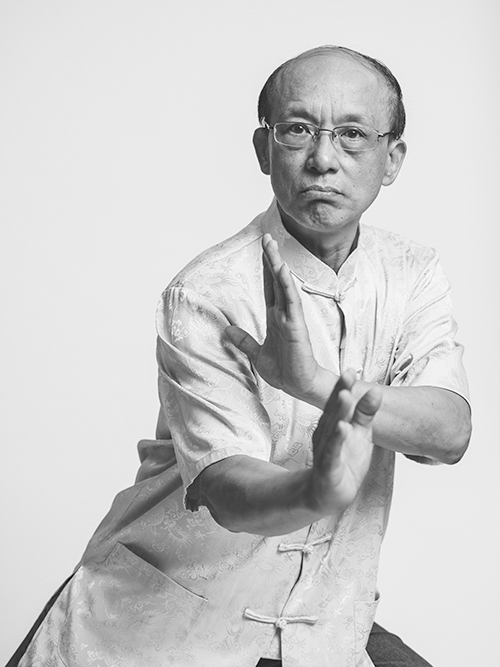 In the same year Li Tin Loy invited Wong Tung Ming to perform martial arts at Kowloon Park. 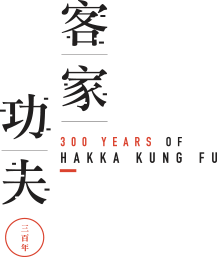 Wong Tung Ming is one of the founding members of Hakka Kung Fu Culture Research Society, which was established in 2015.